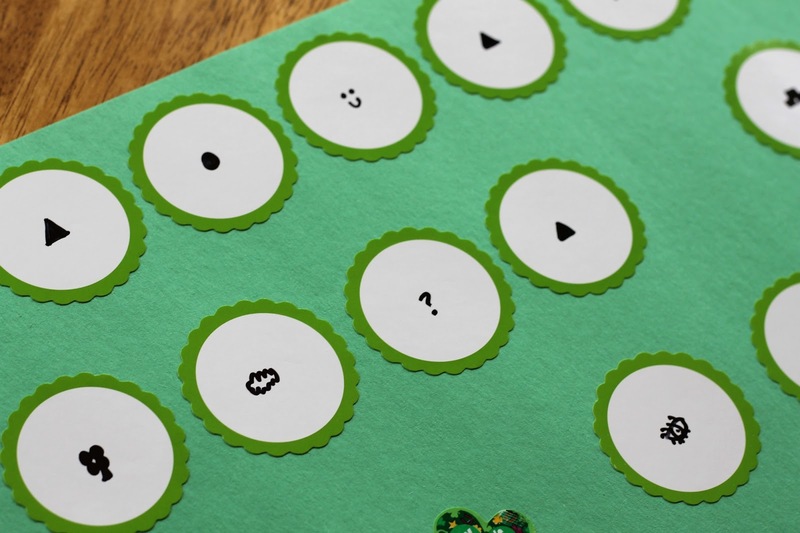 This year our leprechaun is getting sneaky with a secret message treasure hunt. 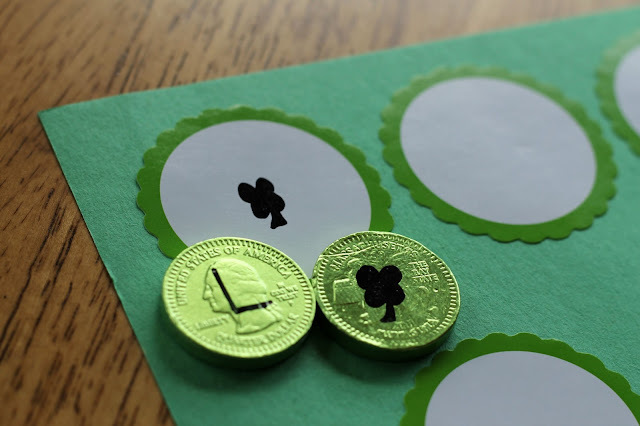 Every year for St Patrick's day I do some kind of leprechaun treasure hunt. When my kids were small I just ran a green string around the house that they followed to find a gift left by our leprechaun. 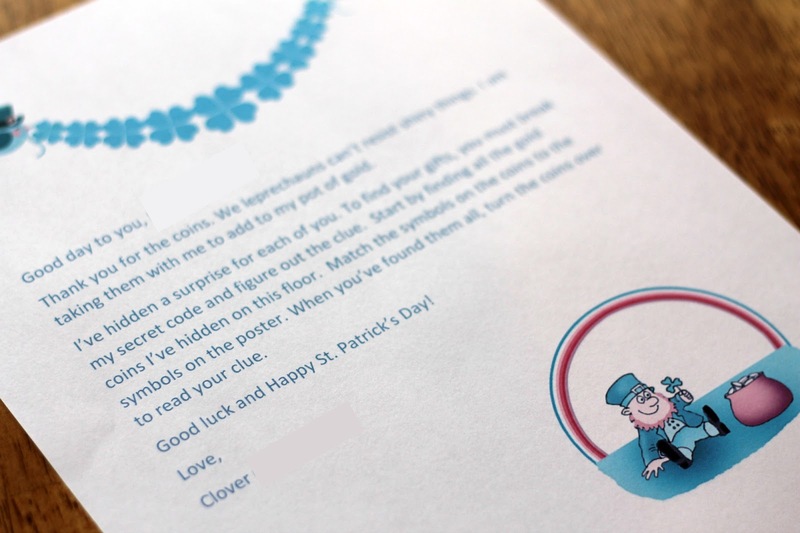 Last year the leprechaun left a secret code treasure hunt. This year I'm planning something similar but with a little twist. The first thing I the leprechaun did was to write a letter to the kids. Thank you for the coins! We leprechauns just can't resist shiny things. I am taking them with me to add to my pot of gold. I've hidden a surprise for each of you. To find your gifts, you must break my secret code and figure out the clue. Start by finding all the coins I've hidden in the house. 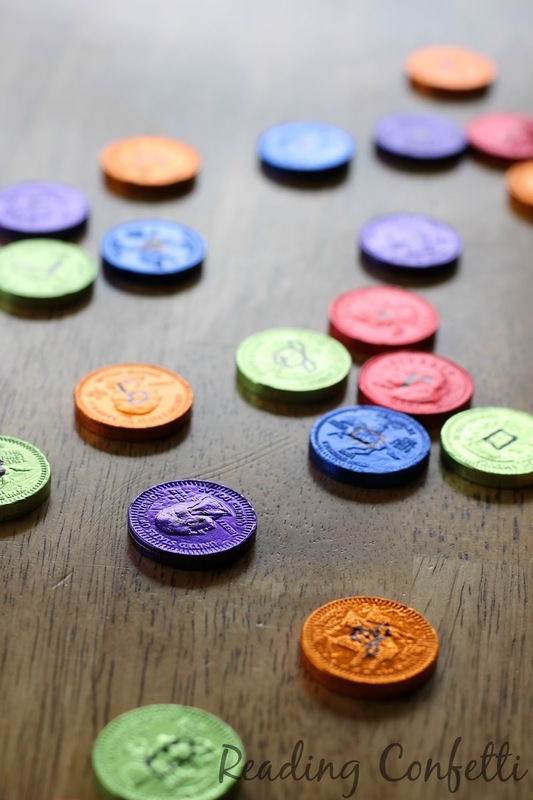 Match the symbols on the coins to the symbols on the poster. When you've found them all, turn the coins over to read your clue. 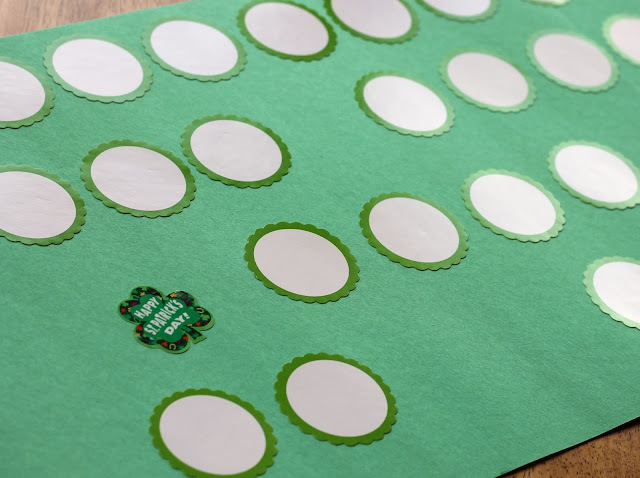 Good luck and happy St Patrick's day! 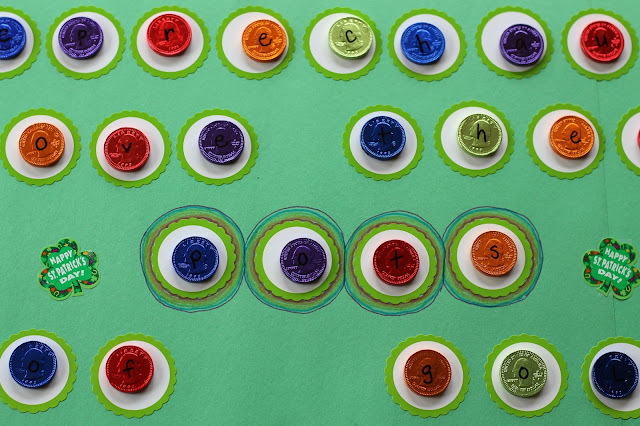 To make the hunt I decided on my secret message and then bought a chocolate coin for each letter. I also picked up some round labels because I happened to see them. My original plan was to just draw circles on the paper. I made a poster with a blank space for each letter where a chocolate coin would fit. Each letter in the message was assigned a symbol. I drew the symbols on the poster in the order of the letters in the secret messsage. 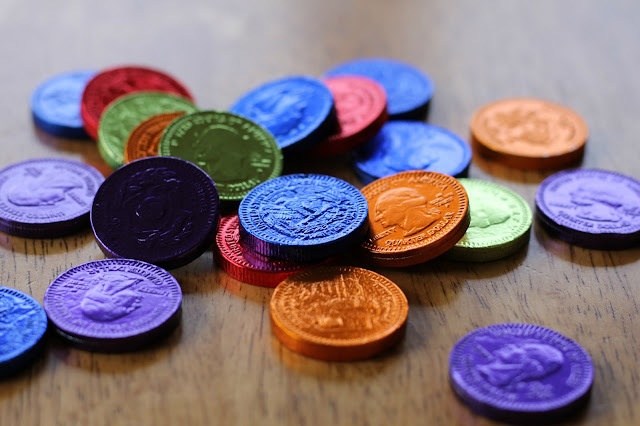 I covered the message with chocolate coins. Each coin got the corresponding symbol drawn on one side and the letter drawn on the other. When the leprechaun visits, I'll hide the chocolate coins throughout the house. The kids will find all of the coins and lay them on the corresponding symbol on the poster. When they've found them all, they'll turn the coins over to reveal the secret message.